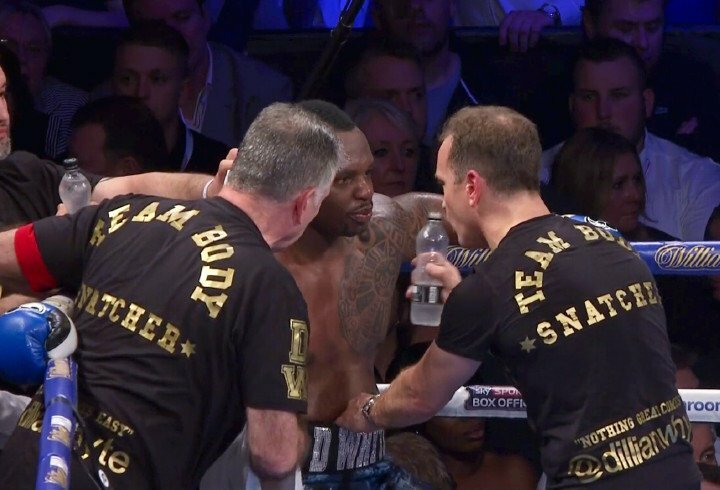 Dillian Whyte has vacated the British heavyweight title, calling his decision “a no-brainer.” Speaking with Sky Sports, Whyte says he could not get up for a mandated British defence against Sam Sexton, so he opted to give up the belt. Whyte, who thrilled us in his epic 12-round slugfest of a win over Dereck Chisora back on December 10, is now looking for some top-10 fights, before a hoped-for shot at a world title before the end of this year. Whyte is quite highly ranked already by the WBC and if he can win a fight or two against top-10 calibre opposition – and he was recently linked to a possible fight with former WBC heavyweight champ Bermane Stiverne – it would get him a big step closer to a shot at Deontay Wilder. But what about that war with Chisora – will we see a part-two?